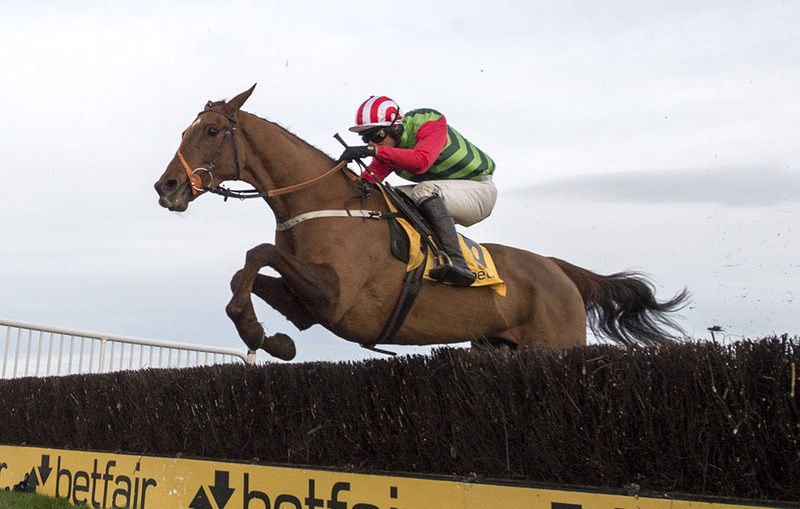 Definitly Red thrust himself firmly into the Grand National picture when staying on well to win the Betbright Grimthorpe Handicap Chase, over 3 miles 2 furlongs, at Doncaster earlier this month by 14 lengths from The Last Samurai and looks worthy of support at 14/1 in the ante post market. Brian Ellison’s 8-year-old travelled and jumped well at Doncaster and, while he lacks experience of the National fences, he’ll apparently be schooled over Aintree-type fences ahead of his National bid. The Definite Article gelding had previously been hampered and unseated rider in the Peter Marsh Handicap Chase, over 3 miles, at Haydock, but would have finished second to Bristol De Mai. The winner was far from disgraced in the Cheltenham Gold Cup, so even that form looks much stronger than it did at the time. Like many of his rivals, Definitly Red has his stamina to prove over 4 miles 2½ furlongs, but is a progressive young horse with an excellent strike rate over fences and appeals as one of the more likely winners.